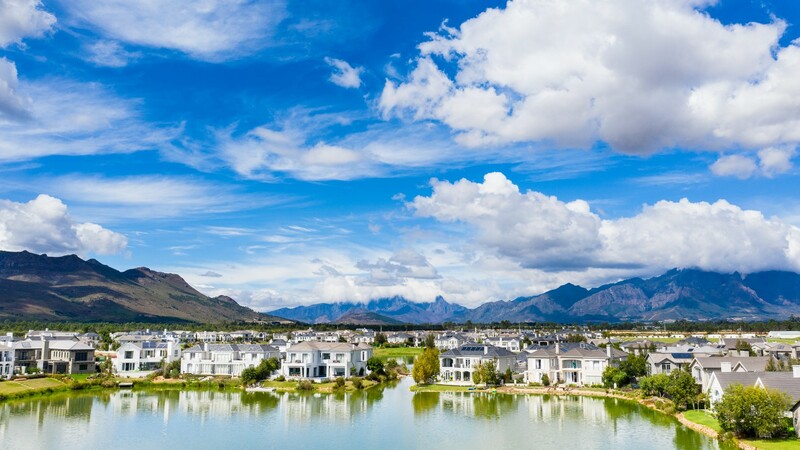 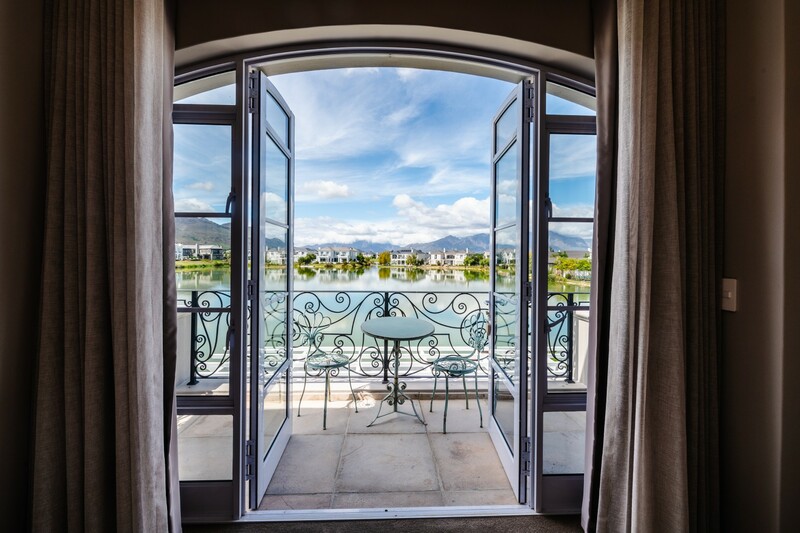 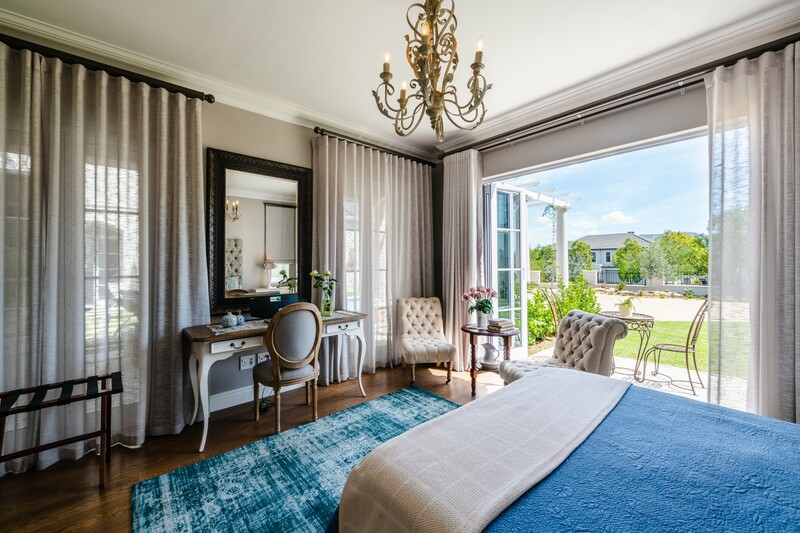 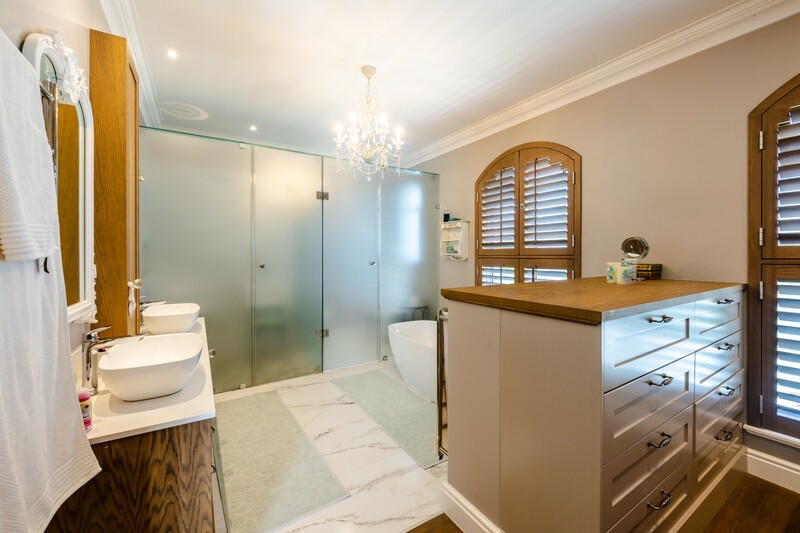 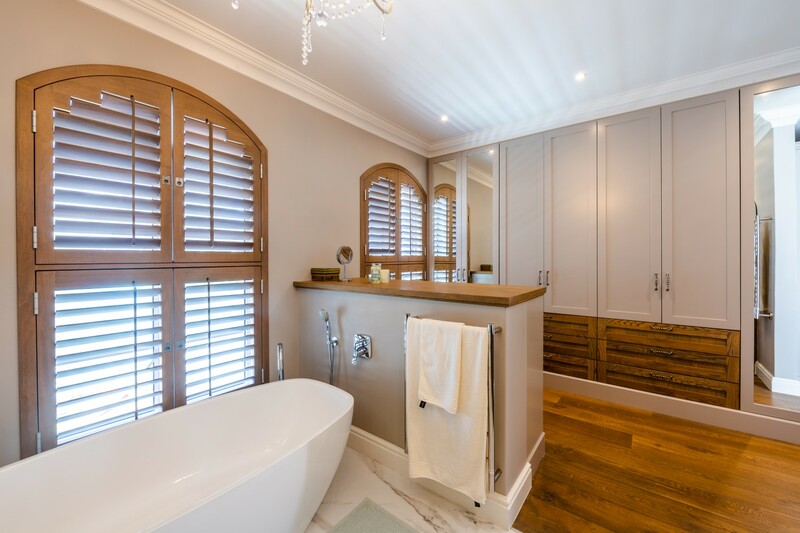 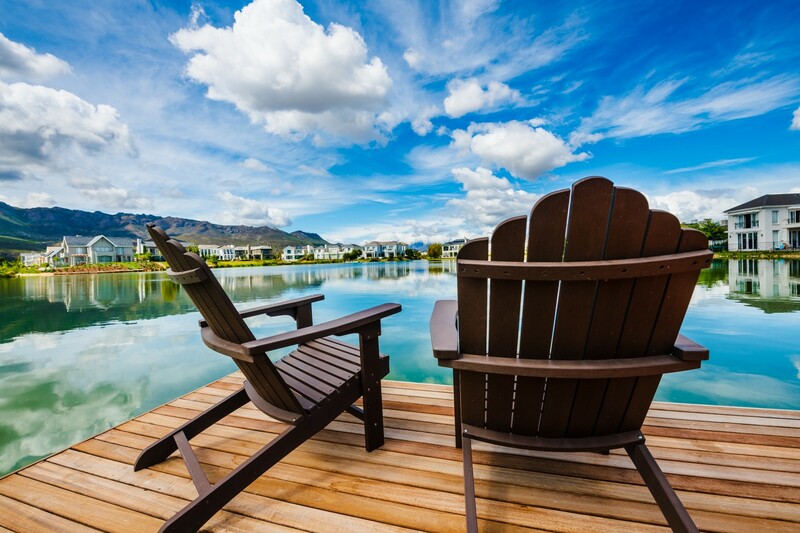 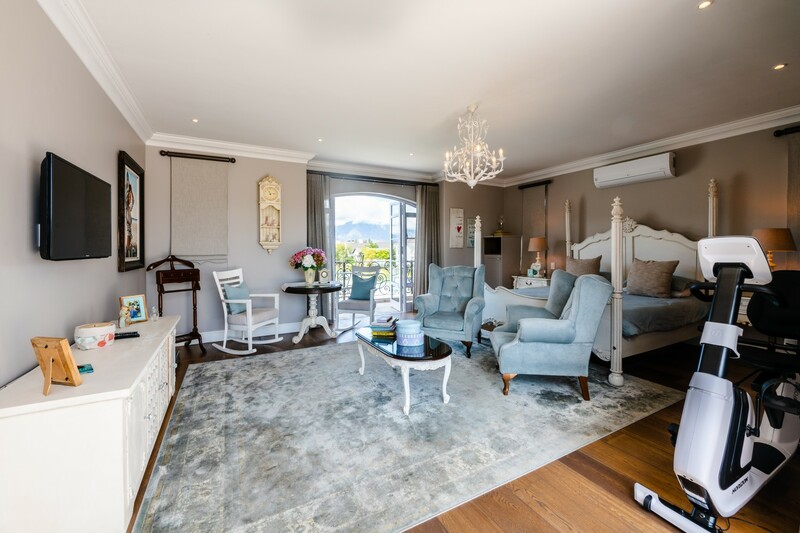 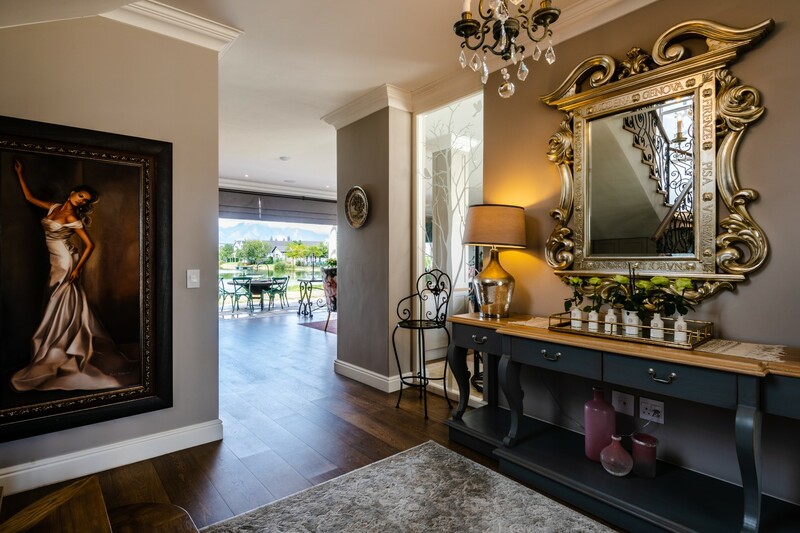 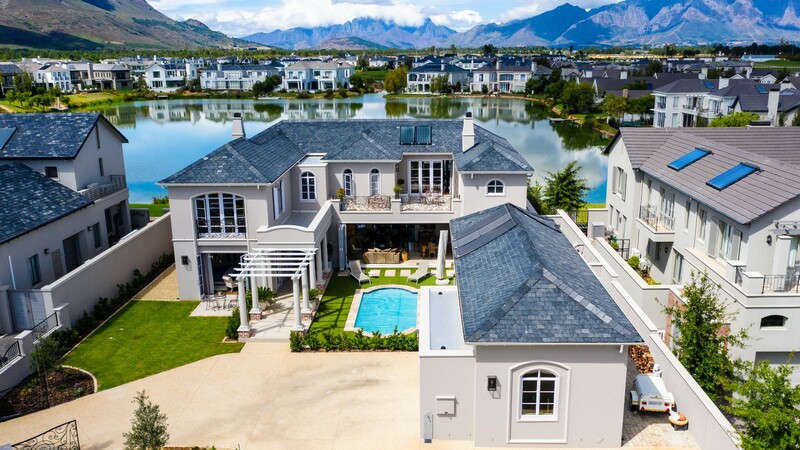 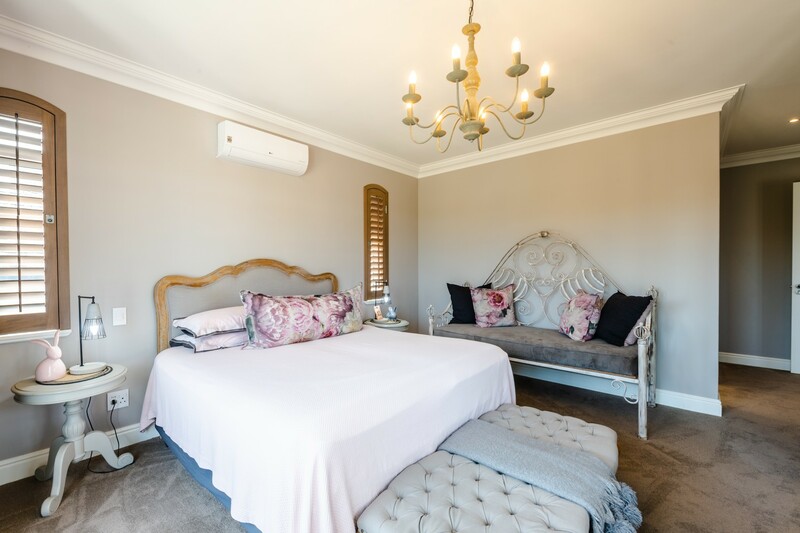 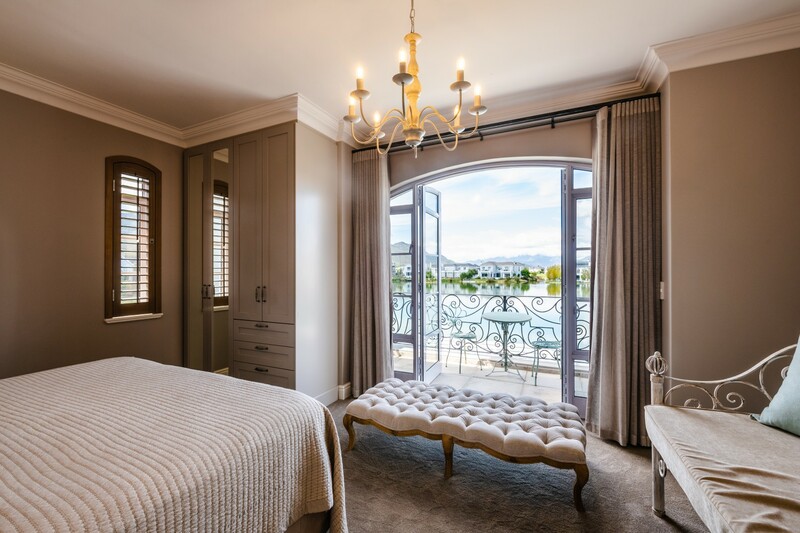 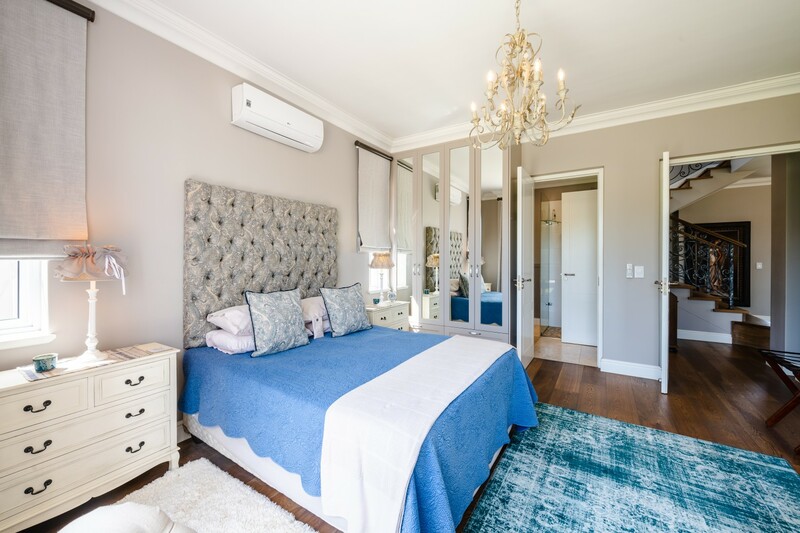 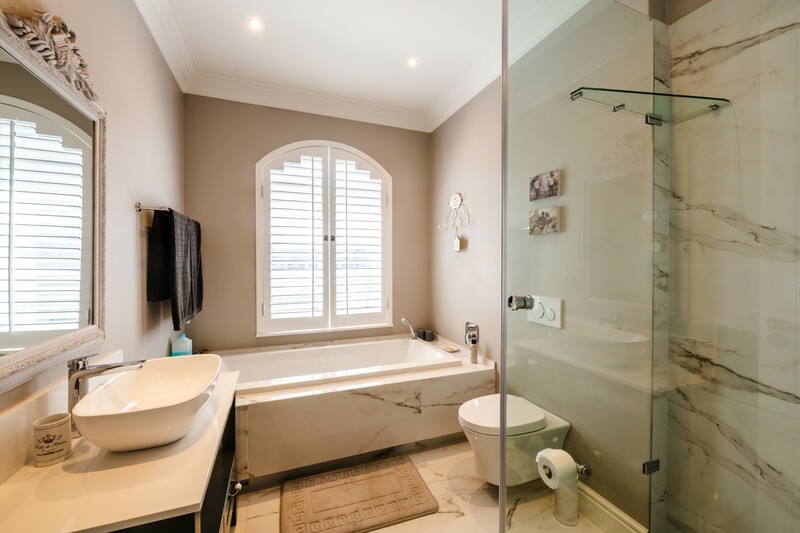 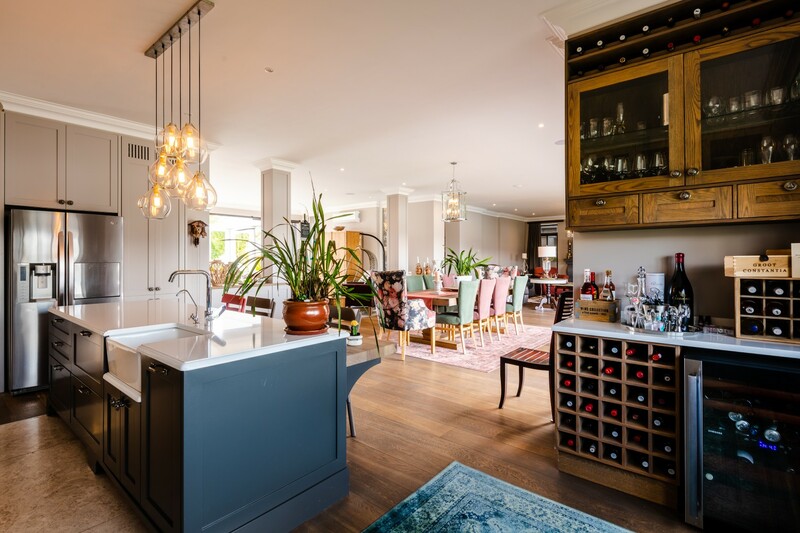 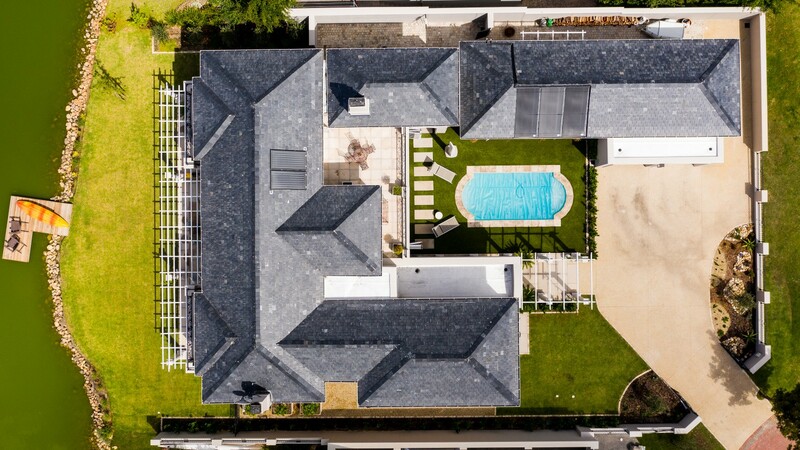 From the amazing Franschhoek mountain views over Lake Julien, the immaculate attention to detail combined with high quality finishes, make this the perfect home for the discerning buyer. 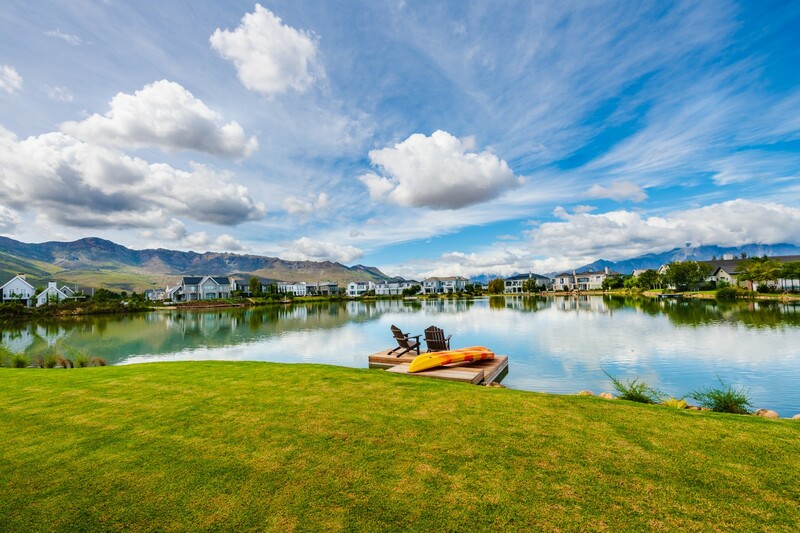 It is ideal for an entertaining, water-loving family who enjoys rowing, paddling and fishing from their own private jetty. 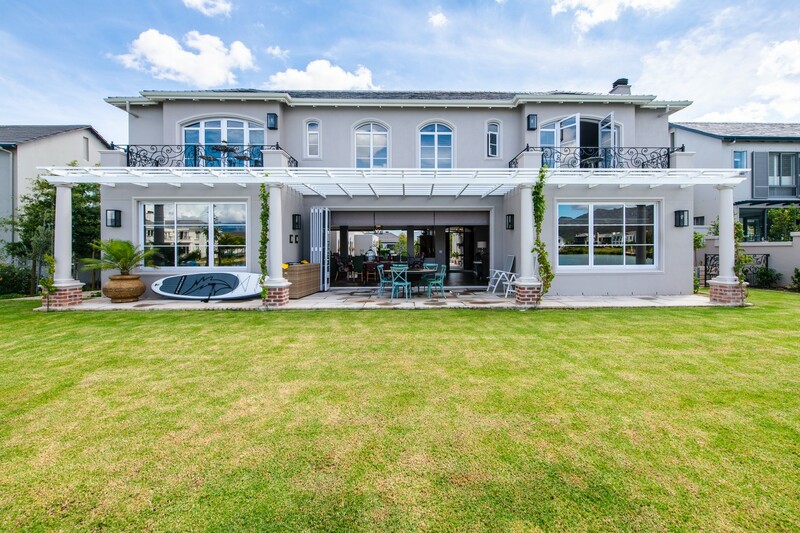 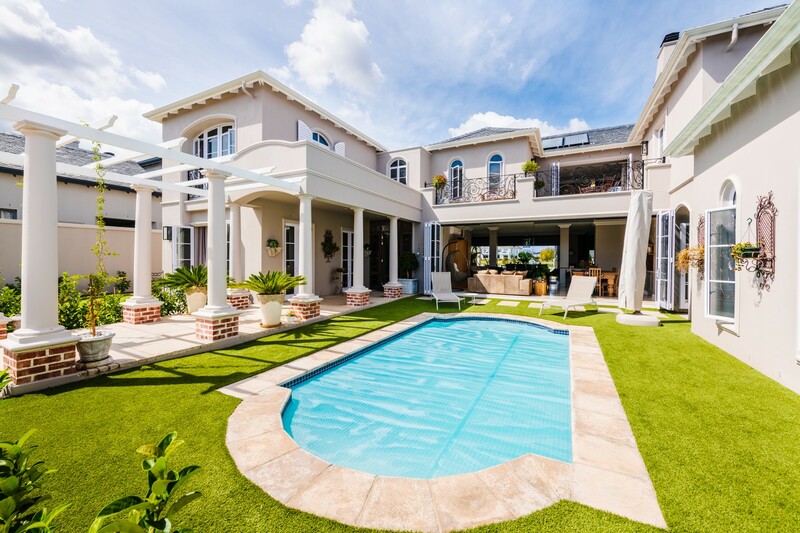 The peace and tranquillity this quiet cul-de-sac home offers, is truly Val de Vie Estate living at its best. 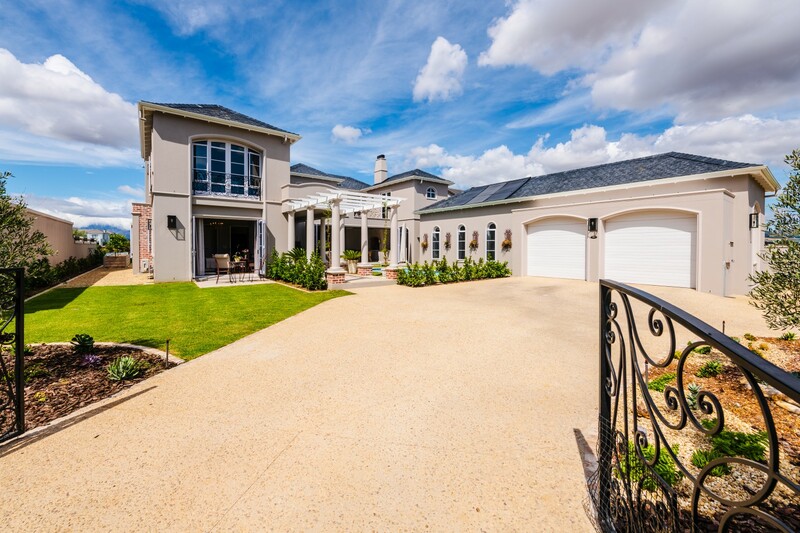 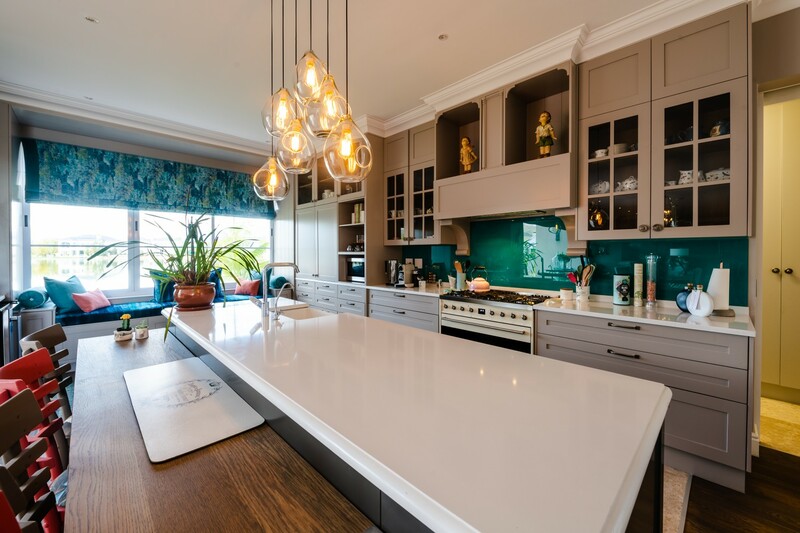 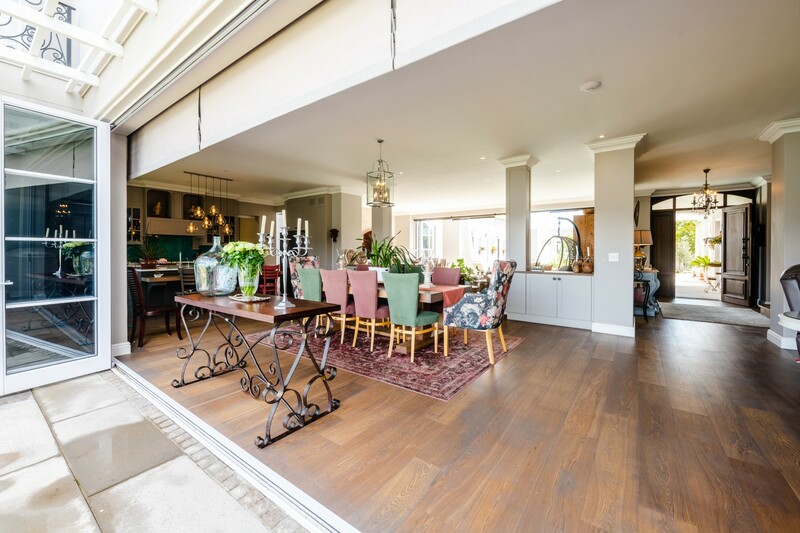 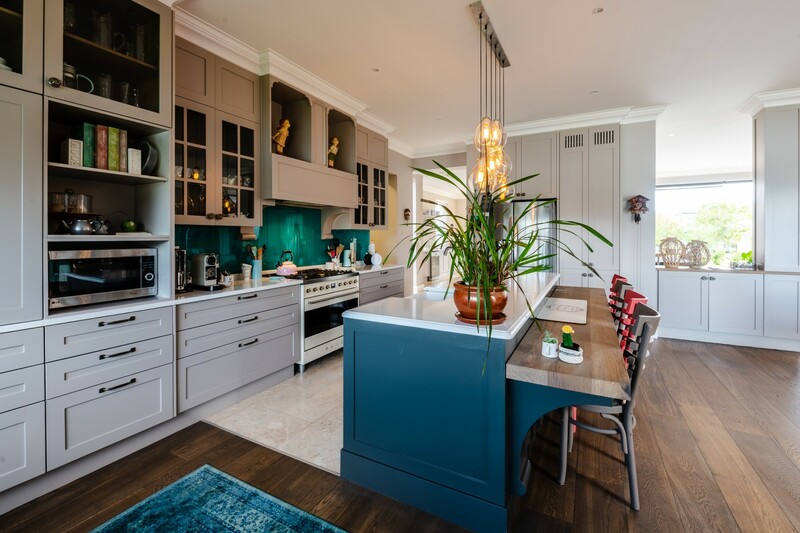 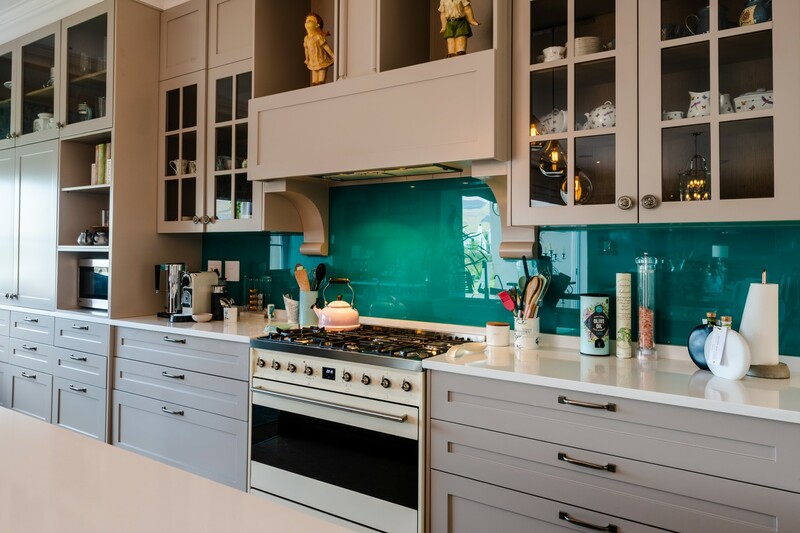 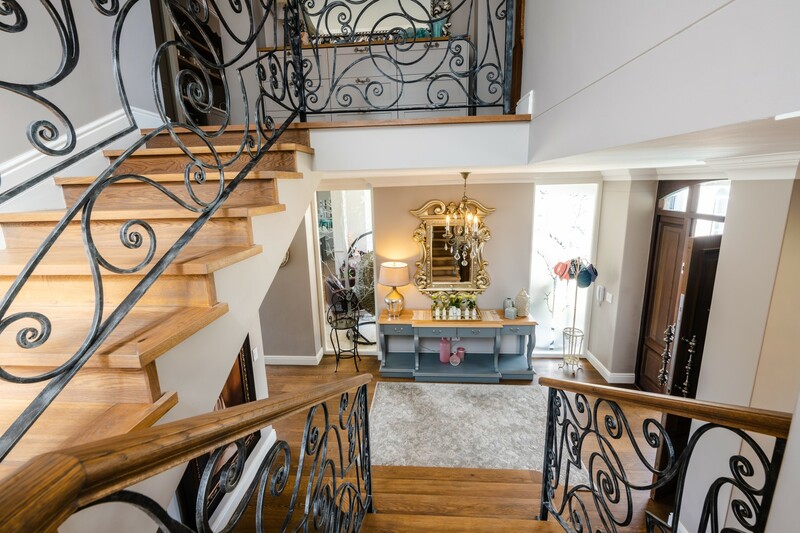 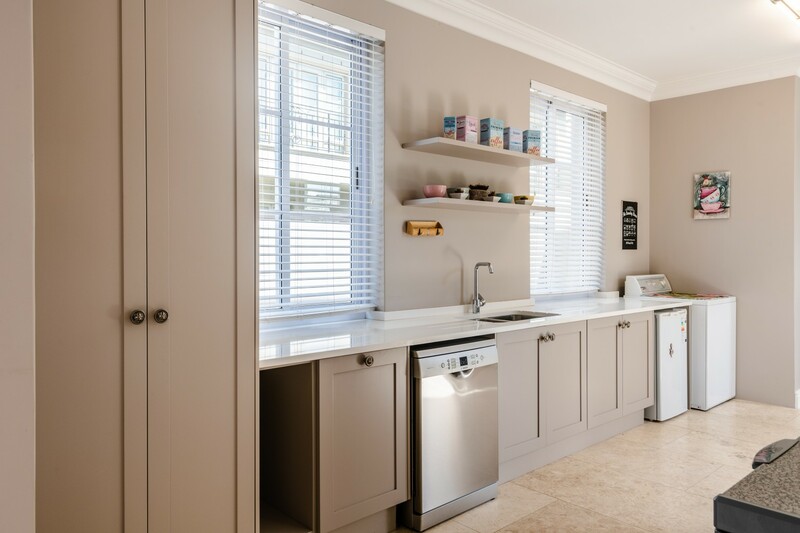 The easy access to the main gate, fibre optic cables and Wi-Fi throughout the house, water purifying systems, sound systems in the family/TV room and outside patio are only a few benefits of the spectacular home. 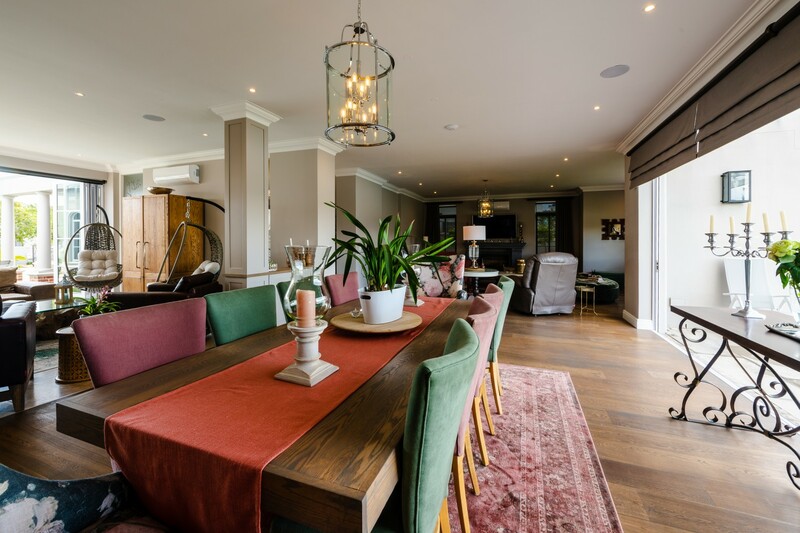 Preparation has been made for the home to rely fully on solar energy.